I devote many of these alerts to ways to prevent conditions like heart disease, Alzheimer's, and osteoporosis. That's because I think it's essential that you know what constructive lifestyle modi-fications you can make to stay in the best health possible. But I know that it can be discouraging at times to always read about what you can't do or eat if you want to avoid disease. So today I'm glad to bring you some good news. Contrary to what you might have thought, this popular breakfast food won't increase your risk of Alzheimer's — even if you're genetically predisposed to the disease. We do know that high serum cholesterol levels are linked to both cardiovascular disease and Alzheimer's disease risk. So it's important to keep your cholesterol at a healthy level. This is especially true for people who carry the APOE4 gene, which about a third of us do. I've written about this gene before, which is linked to an even higher risk of cardiovascular disease and memory disorders. In Finland, this genetic variation is more common than it is in many other parts of the world. Re-search has lately been indicating that dietary cholesterol intake has such a limited impact on se-rum cholesterol levels that it's not really worth worrying about. Still, scientists at the University of Eastern Finland wanted to see if this would hold true for people with the APOE4 variation or if they still needed to remain vigilant to protect their hearts and their memories. For the study, the researchers examined the diets of nearly 2,500 men who were between the ag-es of 42 and 60 and had not been diagnosed with a memory disorder at the beginning of the study. Nearly a third of them had the APOE4 gene. Over the course of 22 years, 337 of the men developed a memory disorder; 266 had Alzheimer's. However, the researchers didn't find any connection between their consumption of dietary cholesterol and the likelihood that they devel-oped a memory disorder. This held true even when the researchers looked at egg consumption specifically, even though eggs are known to be a high source of dietary cholesterol. 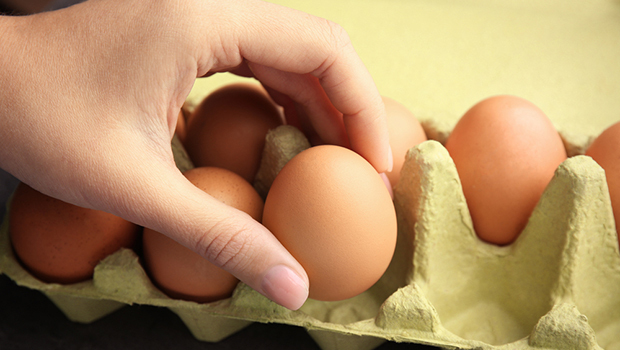 In fact, those who regularly consumed eggs actually tended to do better on cognitive tests! According to the results of this study, if you eat an average of 520 mg dietary cholesterol (including one egg) per day, you probably don't need to worry about it affecting your cardiovascular disease or dementia risk. That's great news for those of us who enjoy eating eggs. And if you swap an egg in place of a sugary breakfast, you'll likely reduce your risk of these diseases, which have both been linked to excess sugar consumption. Maija PT Ylilauri, Sari Voutilainen, Eija Lönnroos, Jaakko Mursu, Heli EK Virtanen, Timo T Koskinen, Jukka T Salonen, Tomi-Pekka Tuomainen, Jyrki K Virtanen. Association of dietary cholesterol and egg intakes with the risk of incident dementia or Alzheimer disease: the Kuopio Ischaemic Heart Disease Risk Factor Study. The American Journal of Clinical Nutrition, 2017; ajcn146753 DOI: 10.3945/ajcn.116.146753.